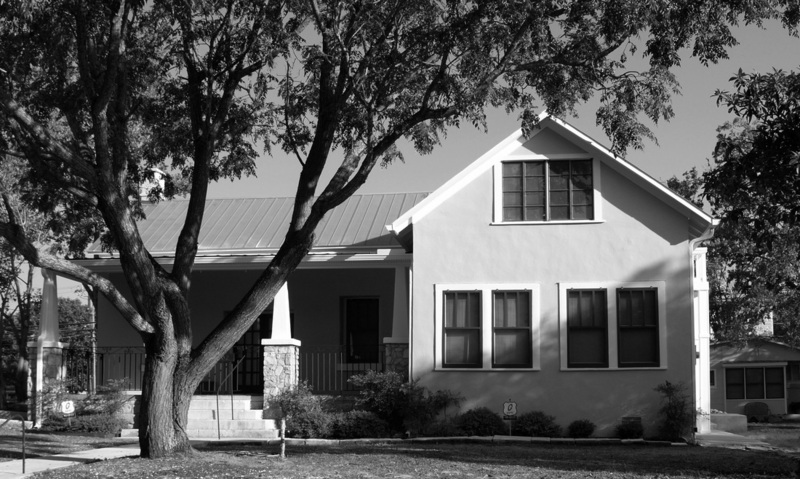 "[Kendall County comprises roughly 663 square miles of rolling to hilly terrain in the Edwards Plateau region, with elevations ranging from 1,000 to 2,000 feet above sea level. Most of the area is drained by the Guadalupe River, which crosses the county from west to east. "German settlers] began arriving in [what is now Kendal County in] the 1840s. The Meusebach-Comanche Treaty, signed in 1847, was to permit the settlers to enter Indian territory to settle and the Indians to enter the settlements. 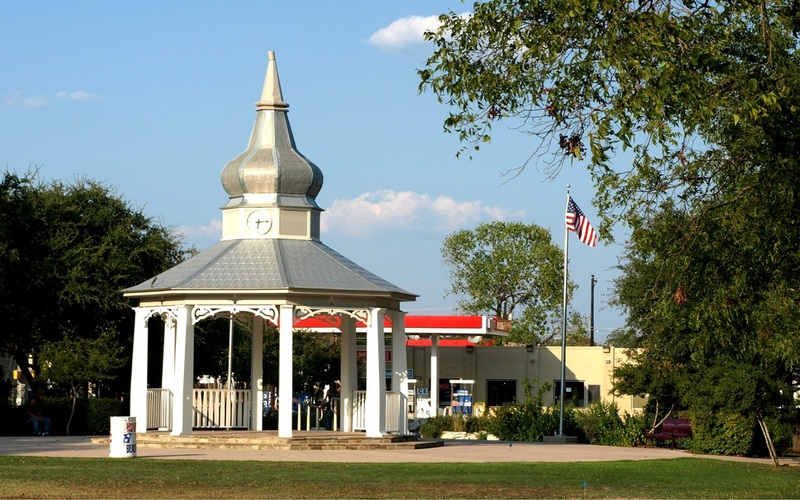 German immigrants established Sisterdale in 1847, Tusculum (Boerne) in 1849, Curry's Creek in 1850, and Comfort in 1854. "Most of the Kendall County area was part of the Bexar County established by the Republic of Texas in 1836; it later became part of Kerr County, which was separated from Bexar in 1856. 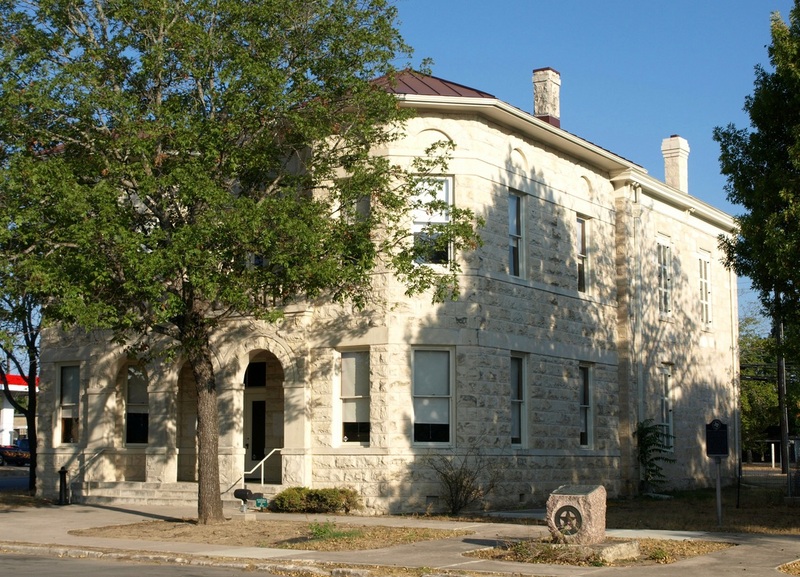 Comfort served as county seat of Kerr County for two years before Kendall County was formed. 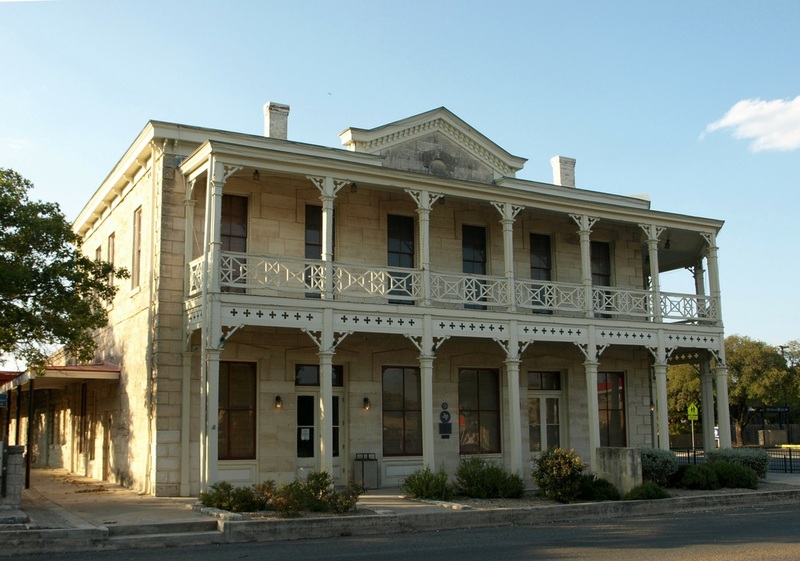 In 1859 residents of Boerne and Sisterdale petitioned the legislature for a new county; the legislature granted the petition in 1862, and the new county, carved from Kerr and Blanco counties, was named in honor of George Wilkins Kendall. 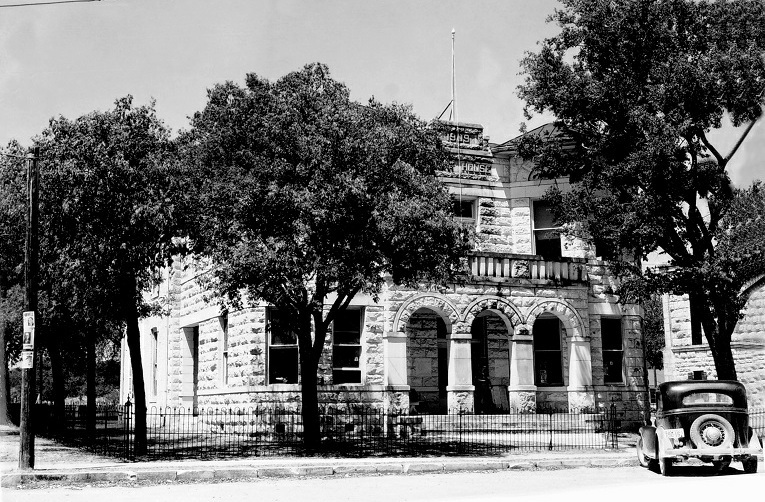 The first Kendall County officials were elected later that year, and Boerne was chosen as the county seat. 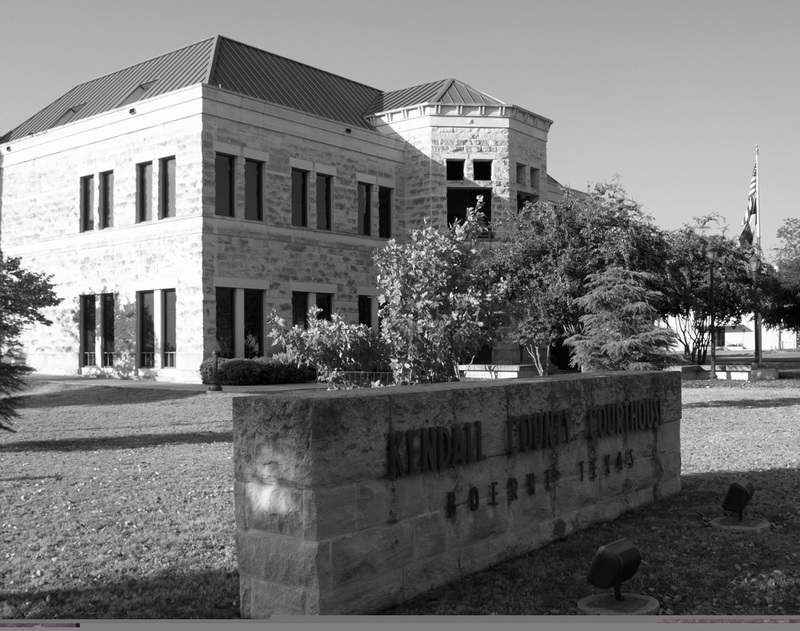 I visited Kendall County and photographed the courthouse in Boerne on Saturday, September 3 and Sunday, September 4, 2011. "The original section of the present Kendall County Courthouse was de-signed by S. F. Stendeback. It was a simple one-story building two bays deep and four bays wide. 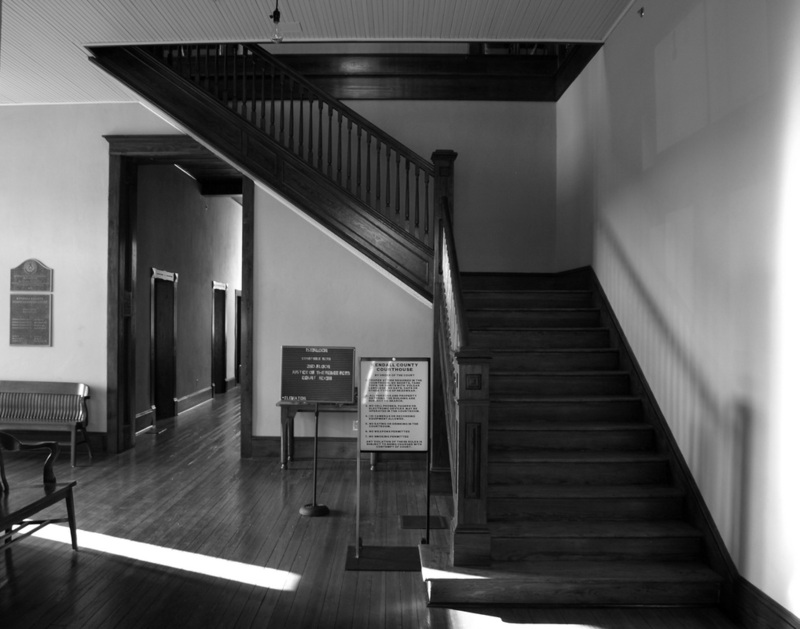 In 1885 the County Commissioner's Court authorized the addition of a second story with a "gallery." Charles Buckel drew the plans." 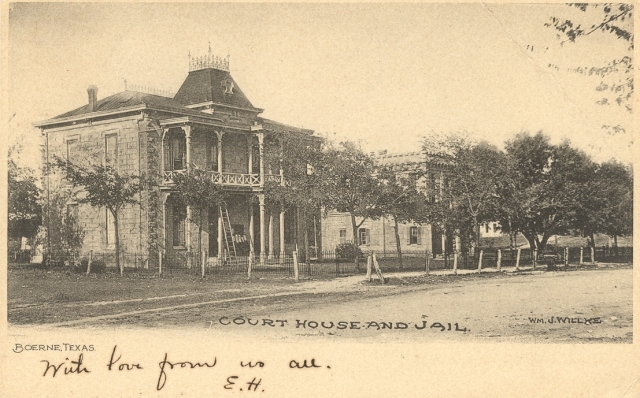 "In 1909 it was determined that the courthouse should be expanded. 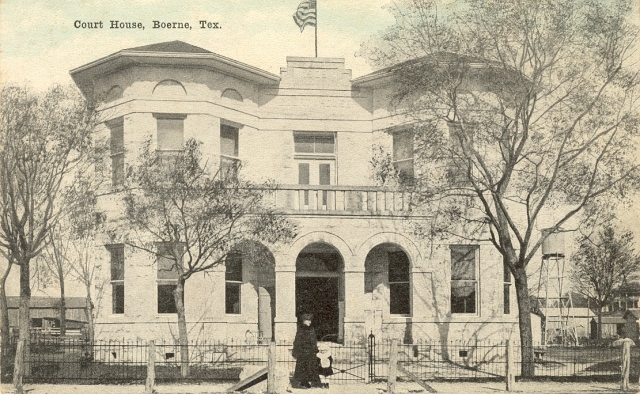 Alfred Giles, San Antonio architect, was commissioned to draw the plans. The construction contract was subsequently awarded to E. H. Clement. 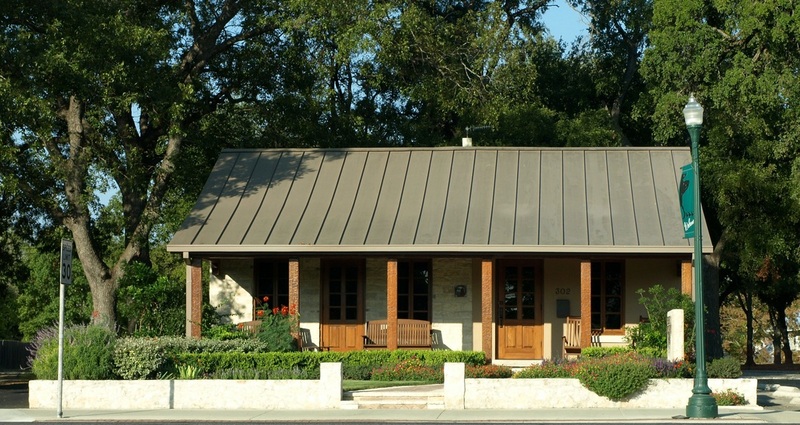 "The design of the new addition, like the previous expansion, reflected the stylistic trends of the period in Texas. 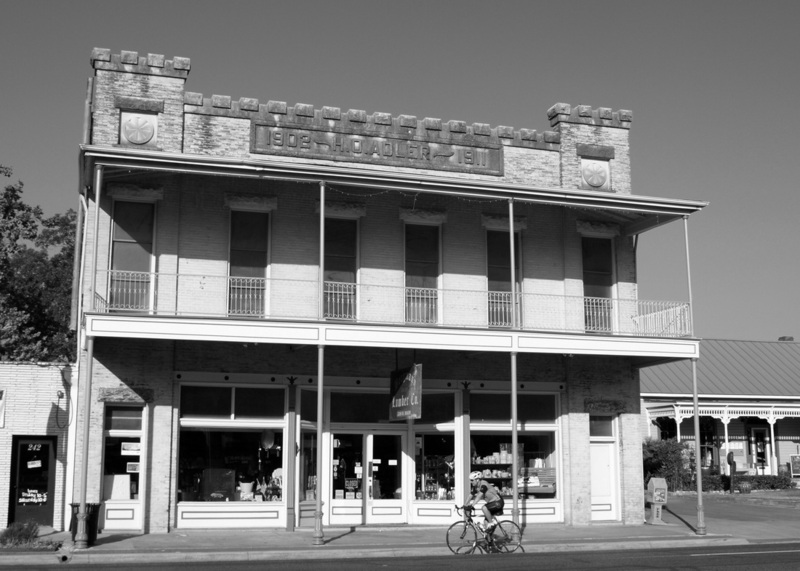 The semi-circular arches of the Romanesque Revival style appeared on many Texas buildings of the 1890s and early years of the twentieth century. 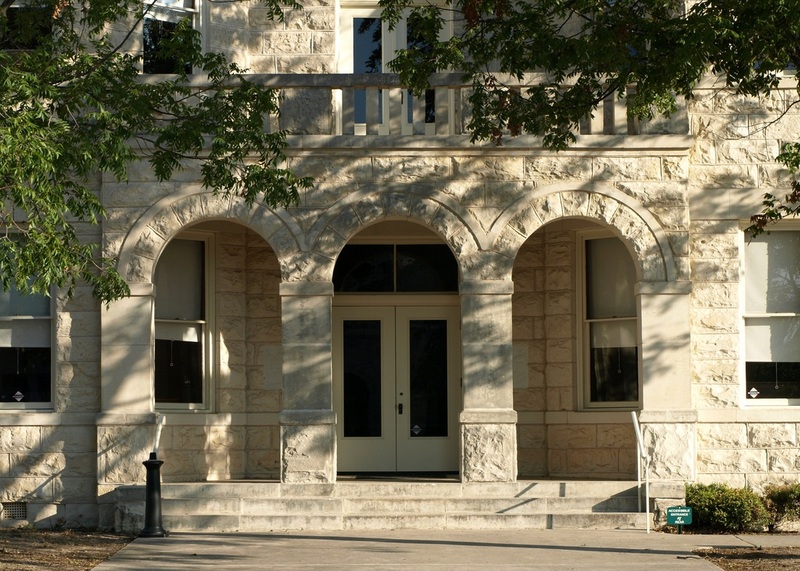 In the 1909 addition to the Kendall County Courthouse, these features distinguish the entrance as well as the walls above the upper cut stone stringcourse. "The addition makes the south access prominent. 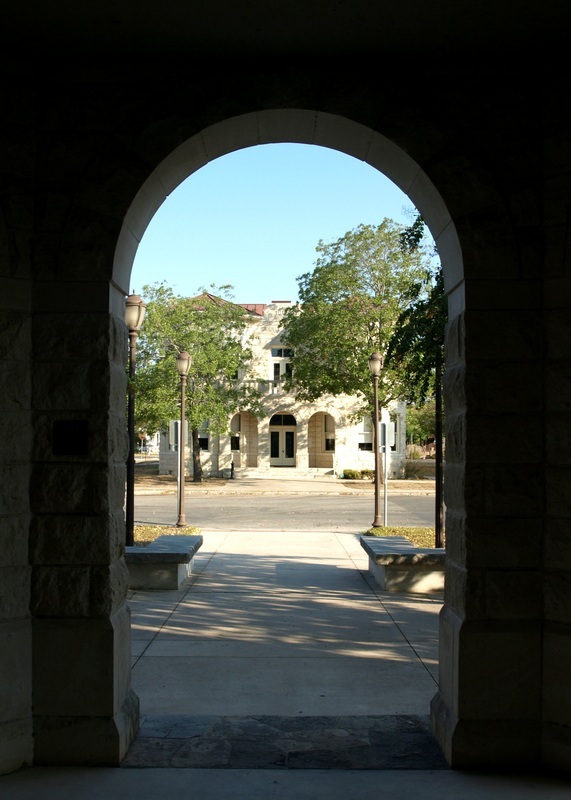 A triple arched arcade, rising above the stone-surfaced porch, emphasizes this entrance. Flanking either side are octagonal wings. Above the porch rises a parapet on which the date of construction is cut. The octagonal wings are surmounted by hipped roofs with standing seam sheet metal roofing, a common material in the regions populated by the Germans."